My latest favorite cleaning product! 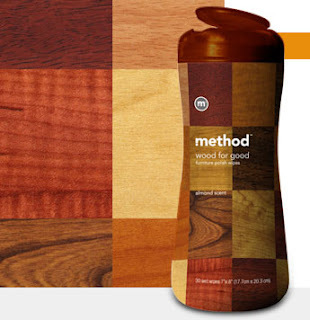 Another one from Method... wood for good polish wipes. They smell like almond (yum)... and they make my furniture shine! Good stuff!